Nuremberg, the second largest city in northern Bavaria after Munich, is an important center for arts and culture. The city has also long been associated with advances in science and technology, particularly in printing - it was home to Europe's first printing press - and astronomy (Nicolaus Copernicus's most famous work was published here in 1543). Nuremberg benefits from its central location in the European economic region. 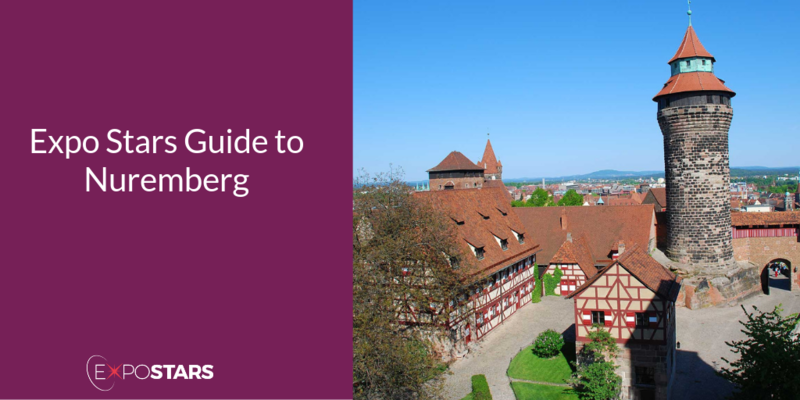 Transport, logistics, technology and research are among Nuremberg’s key industries. Each year more than 1.3 million visitors attend 75 major trade fairs and conferences, including the world’s largest toy event. Once you touch down in Nuremberg's airport you can be in the Altstadt (old town), at the end of U-Bahn line 2, within 13 minutes. National Germanic Museum - The National Germanic Museum (Germanisches Nationalmuseum) is home to the country's largest German art and culture collection. Nuremberg Castle - To the north of the old town rises the Castle of Nuremberg, an impressive 351-meter tall structure that dominates the skyline. Albrecht Dürer Stube - this restaurant offers a succulent menu of traditional Nuremberg fare, including sausages, steaks, fish and seasonal vegetables. Heilig Geist Spital - The menu here is seasonal. Bratwursthäusle - There’s nothing pretentious about this crowded joint, and it really is a carnivore’s heaven with all meat sourced from sustainable sources.